Q: How do we groom cats? Are there any cat grooming parlours in our country? A: Dr K G Umesh: A clean shiny coat is a sign of good health and nutrition. By grooming your cat, you can, however, help to encourage growth and shine of the hair. Cats are naturally clean animals, so your cat may need little grooming, particularly if she has short hair. Longhaired cats need to be groomed more regularly, possibly as much as once a day, and it is best to get your cat used to this when she is a young kitten. Grooming can be something both you and your cat will enjoy. If your cat (or kitten) is initially nervous, it is advisable to spend some time playing with her, until she is comfortable being touched and handled. Let her play with the comb or brush, so she gets used to them and loses her anxiety. Groom all the dead hair out of the coat using a comb or soft bristle brush. Be particularly gentle when combing the head, then groom down the body, the tail, and the legs. Once groomed thoroughly, go over the coat with the brush to remove all loose hairs. The hair of longhaired cats and kittens can easily become matted. Once hair is matted, it will have to be removed before the cat can be groomed; this may involve sedating the cat and clipping the hair by a professional cat groomer or your veterinarian. If your cat is dirty, you may use a clean, damp cloth to wipe her down. Wet the cloth with warm water only, don’t use any soaps. Grooming your cat offers you an excellent opportunity to check her skin for lumps, rashes, discharges or any other signs that your cat is not well. Your vet can able to advise good grooming parlours available in your city. Q: I am planning to get a Doberman pup and I want to get his ear cropped. What care should be taken before and after the cropping? Dr KG Umesh: Ear trimming or Ear Cropping (Cosmetic Otoplasty) does not need to be performed except on the pet owner’s request. However, it is banned in most countries. The procedure should be done (only by qualified vets) in puppies who are healthy and well nourished to minimize the possibility of infection. 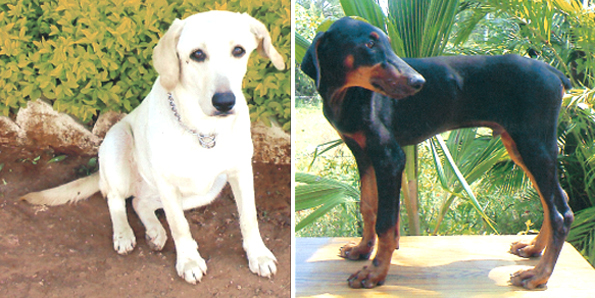 Requirements vary with breed and are based on standards of the Kennel Club. The age at which the procedure is best performed ranges from 8 to 24 weeks. The surgery is performed under general anesthesia, preceded by a fasting period. The puppy is sent home with his ears bandaged and will feel pain for about 5 days after surgery. The bandages must be checked daily for malpositioning, complications and discharge. The sutures are removed 7 to 10 days after surgery. The ears must be checked and rebandaged regularly for 4 to 6 weeks. External support of the ear may be required for as long as 20 weeks. Q: My 8-year-old dog’s nose is turning very dry and appears a little cracked. Please guide. Dr KG Umesh: Thickening and cracking of skin on Nose Bridge (Nasal planum) is a common finding in old dogs with any chronic localized diseases. Some common causes include pyoderma, nutritional, idiopathic hyperkeratosis and immune mediated diseases. Therefore treatment outcome of this depends on the extent and depth of the skin involvement and the underlying disease. Please get it examined by your vet. Topical and/or systemic drugs can be used. If there are no signs of infection, consider using moisturisers/Keratoplastics/lytics. Vaseline/Petroleum jelly also helps to some extent. Meanwhile, make sure he is on complete balanced food like Pedigree. Q: Yearly rabies vaccination of our pregnant dog is due. Is it safe to vaccinate her now- also when she is nursing her puppies- or do we wait after she has finished nursing? Dr KG Umesh: Some killed virus rabies vaccines although appear to be safe, it is generally not recommended to vaccinate a pregnant dog. Get her vaccinated either after whelping or weaning puppies. Q: My dog Bagels is six years old. He is on dog food and I buy him chewsticks/dental chews occasionally. Do advice is it mandatory to brush or can I give him chews, which will clean the tartar? Is it necessary to take him for a yearly dental check-up to keep teeth problems away? For a check-up, does he have to undergo anaesthesia? 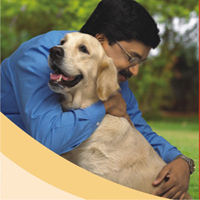 Dr K G Umesh: Just like people, dogs need to have their teeth brushed and cleaned. But the fact is, probably the number one health problem for dogs, apart from being overweight, is periodontal disease. More than 80 percent of dogs over two years of age who haven’t received regular dental care have these dental problems. The accumulation of tartar and plaque and the resulting gingivitis can lead to more serious disease. And worse, it often leads to damage to the jawbones, and loss of teeth. Infection may spread to vital organs like kidney or heart. Regular dental check from your vet, at least twice a year is recommended which do not require any anaesthesia. Your vet may use short time anaesthesia only for procedures like dental scaling. Owners can lightly brush their dog’s teeth at least twice a week to remove plaque deposits. A pet toothbrush or child’s nylon toothbrush dipped in toothpaste made for dogs should be used. If the dog will not tolerate a toothbrush, you can try using a soft cloth instead. Do not use toothpastes made for humans, which can cause nausea in dogs if swallowed. An alternative to brushing is using a dental chew. Clinical studies by Waltham have shown that certain specifically designed dental health chews (Dentastix) result in a significant reduction of plaque and calculus accumulation, gingivitis and malodour. This product is endorsed by British Veterinary Dental Association and European Veterinary Dental Society. Dry dog food like Pedigree may also help prevent dental plaque accumulation. Q: Cheeni, my-two-year-old GSD is very boisterous and active. Lately, we have noticed that he has not been wagging his tail and seems uncomfortable. I have checked his tail thoroughly for bite marks/ hurt but cannot find anything. Please help. Dr KG Umesh: In absence of any physical abnormalities, my suggestion is to get opinion from your vet, who may help find underlying causes including injury to nerves, healing fracture or soft tissue injury. He may recommend radiograph if required.